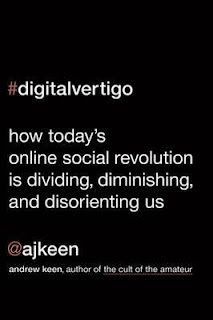 Below are the 4 four books I've read so far specifically for my thesis and I'm currently (and slowly) working my way through Luke Tredinnick's Digital Information Culture: the individual and society in the digital age. Also planned reads are Don Tapscott's Grown up digital, Andrew Keen's The Cult of the Amateur and Elias Aboujaoude's Virtually You. Digital Vertigo is good book with a lot of good points and it manages to put a lot of things regarding our use of the internet into perspective. I do think Keen got a bit carried off by the sound of his own voice once in a while, going on and on about some historical events or paintings that are somewhat obscurely related to the point of it all. At other times though he's spot on comparing the past with the future and indeed, by looking back we are shown that history is prone to repeat itself and maybe we'll even be able to predict the future. His many comparisons to and mentions of a variety of films, including Hitchcock's Vertigo, threw me off track, but seeing as I was reading scanning for particular topics that will have influenced my opinion. The Shallows is a really fascinating read. 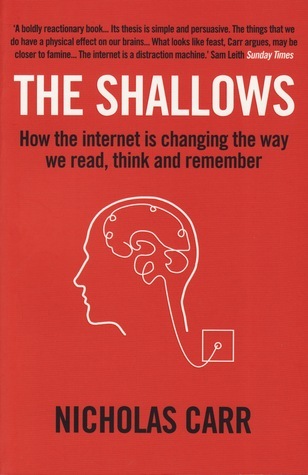 It gives you great background knowledge on the evolution of both the computer and the internet and it has so many excellent points on how the brain works - points I found myself nodding to, as I realized these were things I'm guilty of doing myself. However I also often found it too generalising. Just because some people can't read deeply anymore doesn't mean none of us can. But I also realise I'm heavily prejudices by the book/reading community - a big part of my world consists of librarian-to-bees (lol), goodreaders and bookbloggers. Alone Together was a very interesting read. 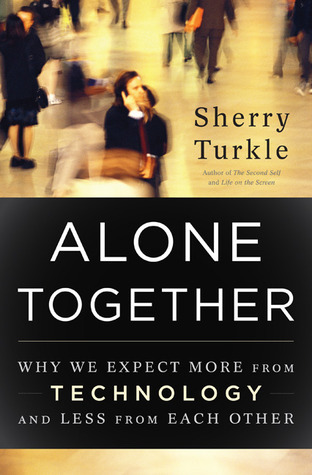 Turkle draws on her vast sociological and physocological knowledge and provides the reader with a lot of strong points and food for thought. I skipped part of the book about robots and AI as that's not relevant to my thesis, but again it also provides some good broad background information. By far the oldest of my books read so far, Life on the Screen can be argued to be vastly outdated. 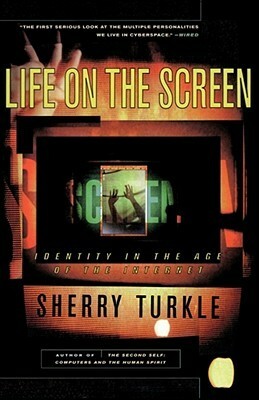 However it put Turkle's other book in perspective and she still had a lot of good points that still apply. 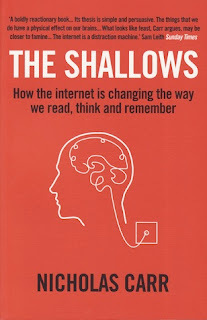 Like in The Shallows there's a broad chapter on the technological evolution of the computer and the internet but with more focus on how using both has an effect on us. She also spent a lot of time on MUDS and I skipped a fair few chapters as they were irrelevant to me.